About 30 gathered at Wears Valley, TN for the summer Exchanged Life Conference presented by Grace Fellowship. New team members, Joe and Cherri Freeman, came down from New Jersey to share their testimonies and assist in the teaching. 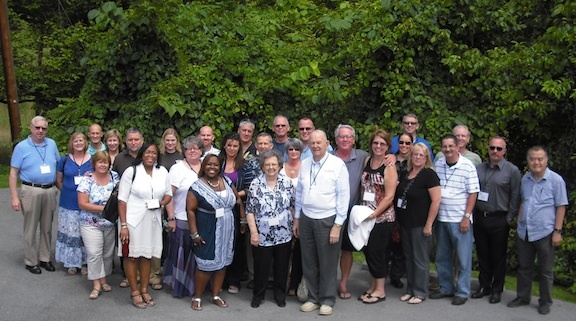 July 23-25 was the Spirituotherapy workshop which provided training on the “how-to” of sharing this deeper message of the Cross of Christ in a counseling context. The next local conference and workshop are scheduled for November. All disciples and disciplers are welcome! Our team had a taste of this kind of strategic ministry on our recent trip to Colombia. The leaders there had used a Spanish photocopied edition of Chuck’s Handbook to Happiness since the ’80’s. In the months leading up to the Bogota conference and pastors’ conference, two more of Chuck’s books were translated into Spanish and published there. So we’re seeing a valuable Spanish Exchanged Life discipleship/ counseling tool kit coming together. 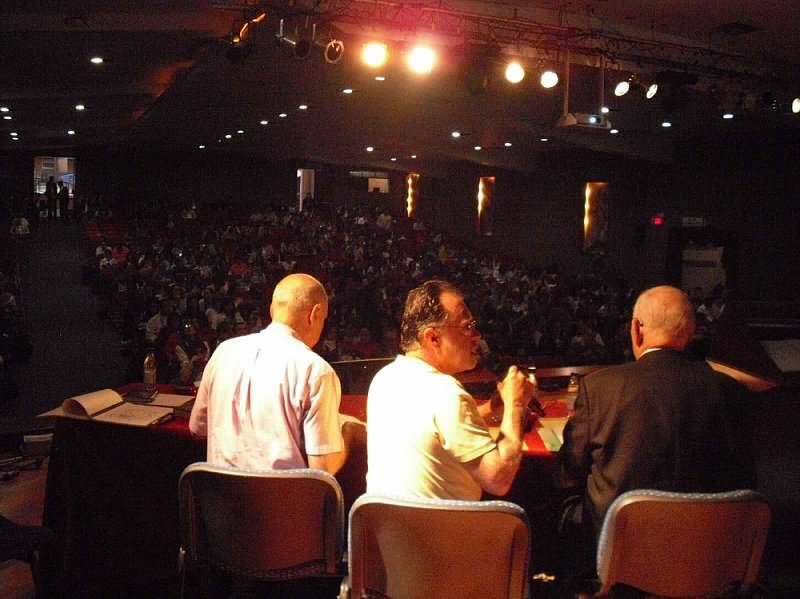 On June 28-30, over 500 attended the Bogota Conference (Friday night and all day Saturday and Sunday). Each participant received three of our Spanish books and a Spanish GFI notebook. There were dozens of psychologists there, many of whom were disillusioned with trying to help people based on their secular/ integrationist approach. Many attendees gave testimony of transformational change as the Holy Spirit used the teaching and illumined hearts to the fuller message of the Cross and identification with Christ. The teachers included Dr. Sheridan Stanton (GFI alumnus & missionary to Peru), Chuck, and myself. Interpreters included Jose Diaz and Armando Gutierrez. On July 2-5 we ministered at CENFOL’s annual pastors conference in Girardot (a four hour drive west from Bogota). We had a slower pace there with beautiful weather and scenery. God blessed there as well. One of the public testimonies was from the director of their ministry in Venezuela. He came to Bogota with his resignation letter with him, but during the two events God did a wonderful work in his life. He was returning to the challenges of ministry as one who has had his “white funeral” (Gal. 2:20) and a more complete Good News to share with others. Our board member, Dr. Dan Riley, flew down on July 4th, coached the CENFOL leaders in assessment and follow up, and preached there Sunday morning. 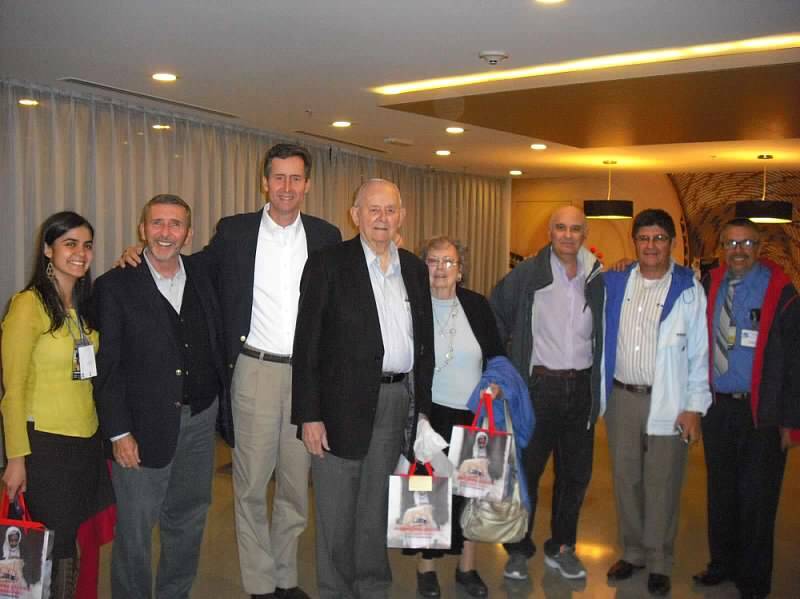 Before we left, the leaders testified of an estimated 80% of the Bogota conference attendees embracing the “Selfer’s Prayer.” They have a vision to reach Latin America with this message and approach as a ministry partner of Grace Fellowship. For the Solomons–and all of us–it is a dream come true! 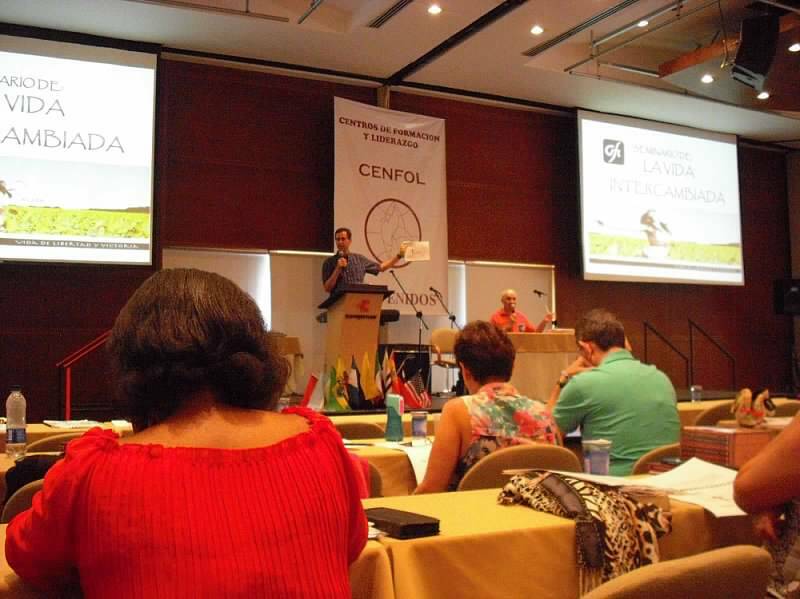 CENFOL is already discussing when to have a follow up event in Bogota! We give thanks to God and those who have participated by intercession and involvement.